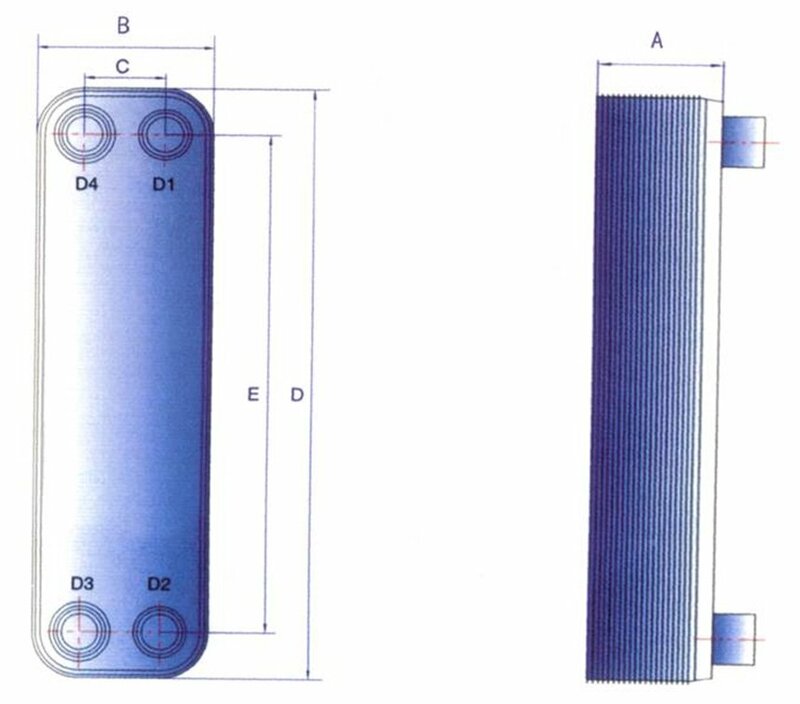 Northern Lights Solar Solutions Plate Heat Exchangers - BL14-30X. 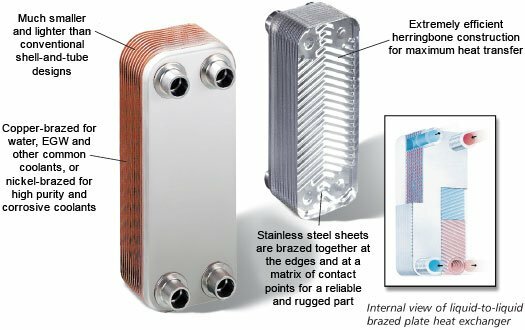 Our Brazed Plate heat exchanger consists of 30 multiple, thin, slightly-separated corrugated plates that together form a very large relative surface area given the volume of these heat exchangers. They produce relatively low pressure drops and operate efficienly at the lower flow rates associates with solar and hydronic circulation systems. 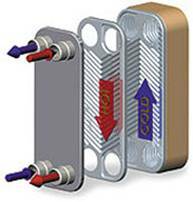 The stacked-plate arrangement can be more effective, in a given space, than most other type of heat exchangers. 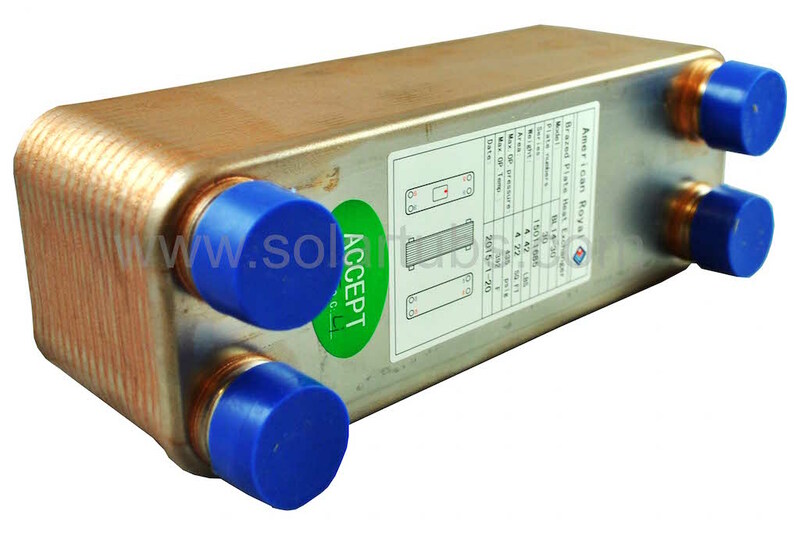 These Solar Brazed Plate Exchangers have a specially patented "wafer or corrugated " stamps that increase the flow turbulence and consequently the heat transfer and scaling factor making them ideal in solar application which have smaller flow rates. 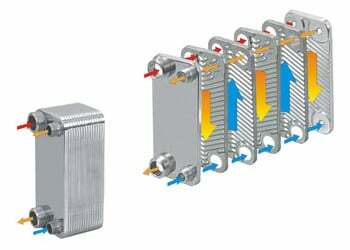 Our line of brazed plate heat exchangers are single wall stainless steel versions. Some codes require double water heat exchangers with visible leak detection for potable domestic water where a double wall heat exchanger is required. We have two sizes; a 30 plate and a 50 plate version. The smaller 30 plate unit is suitable for up to 8 solar collectors and the larger unit is used when the solar collectors exceeds 8 such as commercial solar application or in applications were a low differential temperature gradient is needed. 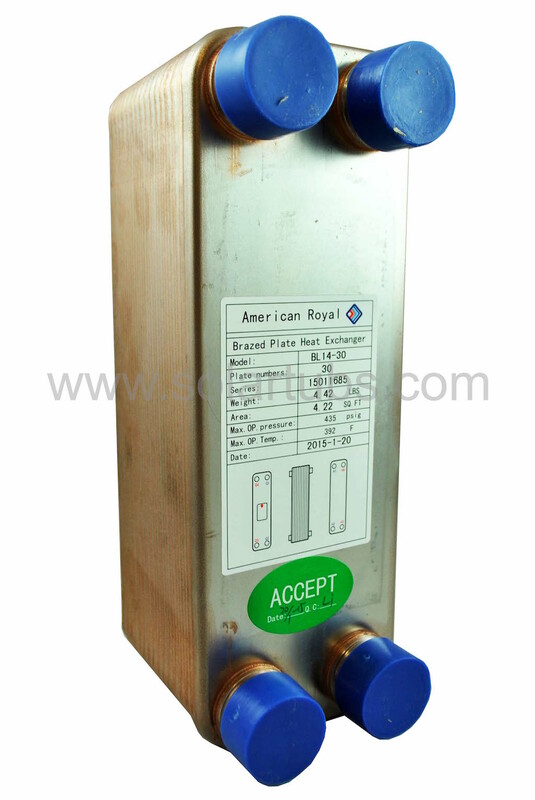 The entire construction is sealed together by the means of brazing in a special vacuum furnace..
BL14-30 3.15 x 7.5 x 2.6"